After arriving in Barcelona from Madrid via train, we were very much ready to get outta that train car and explore. However, the taxis in Barcelona, not so much ready to take us to explore. We had apparently arrived on the day of a taxi strike. Nothing about this really surprised us except that we didn’t know it until we walked outside the station and stood by the taxi queue and…NOTHING. We did some asking around and finally heard what was happening. No problem right? There must be a metro that will take us where we needed to go. Otherwise we were looking at about a half hour or more of dragging our super heavy luggage through the city to our hotel. The metro boards were a little confusing so we tried asking at information in the train station how we could get there. The answer we received was “No. There’s no way you can get there today.” So now we were convinced there was a night of sleeping in the train station ahead of us. However, we did eventually figure it out the metro on our own and were a little confused why we were told by employees we wouldn’t be able to get there. We did! 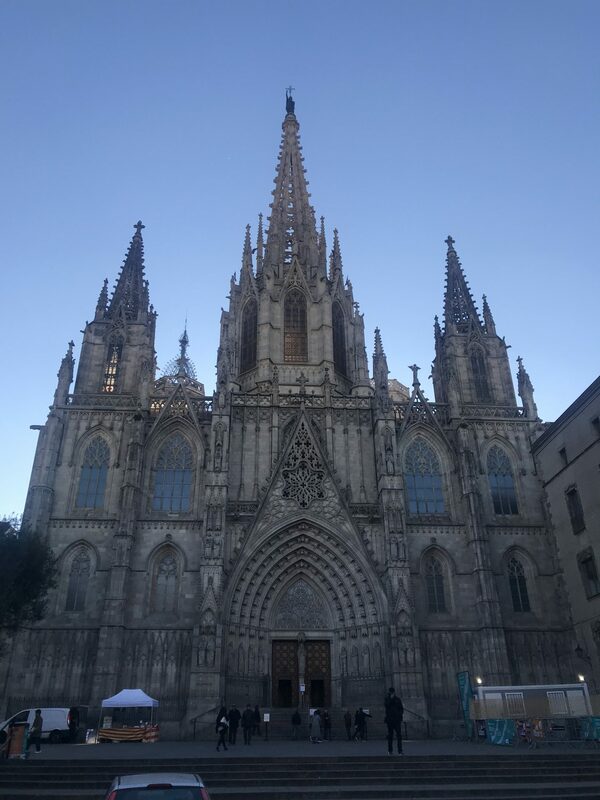 There was a lot to see in Barcelona so I’ll just give a quick rundown of some of our highlights so as not to make this a post that takes you 9 hours to read; and feel free to let me know know if you have any questions about anything mentioned! 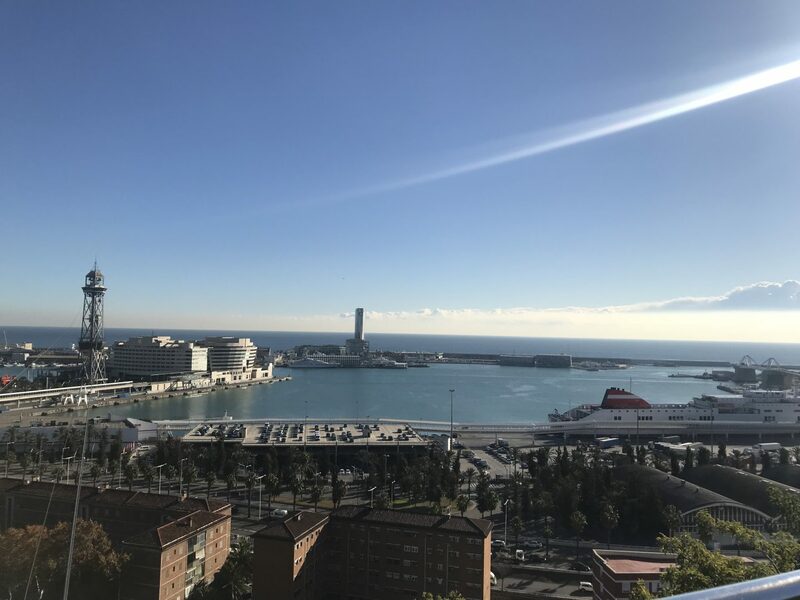 We packed an actual metric ton into our short time in Barcelona, so I could write about it for decades. But I won’t. We stayed at Hotel Colon which was again centrally located in the city. 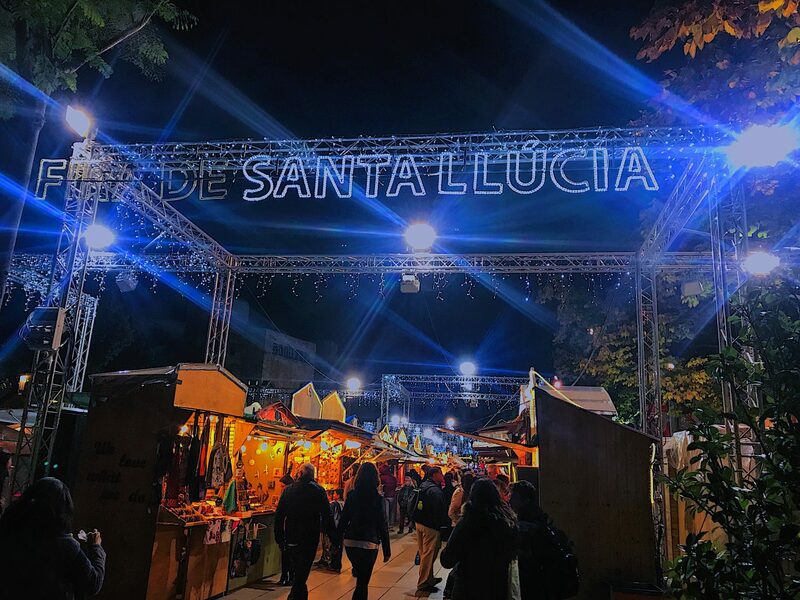 Steps away from La Rambla, which is comparative to an outdoor pedestrian mall lined with trees and restaurants on either side. All of the restaurants had outdoor seating. 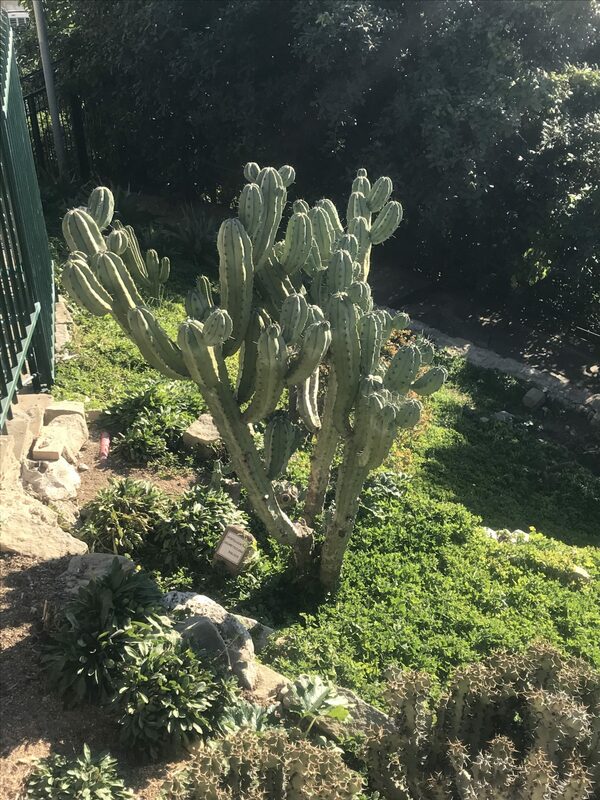 One thing to note is that they seem to eat outdoors all year long. There are enough heat lamps at each spot to keep you warm-ish even in 40 degree weather. Trust me, if I can do it, you can too. I’m the coldest girl. 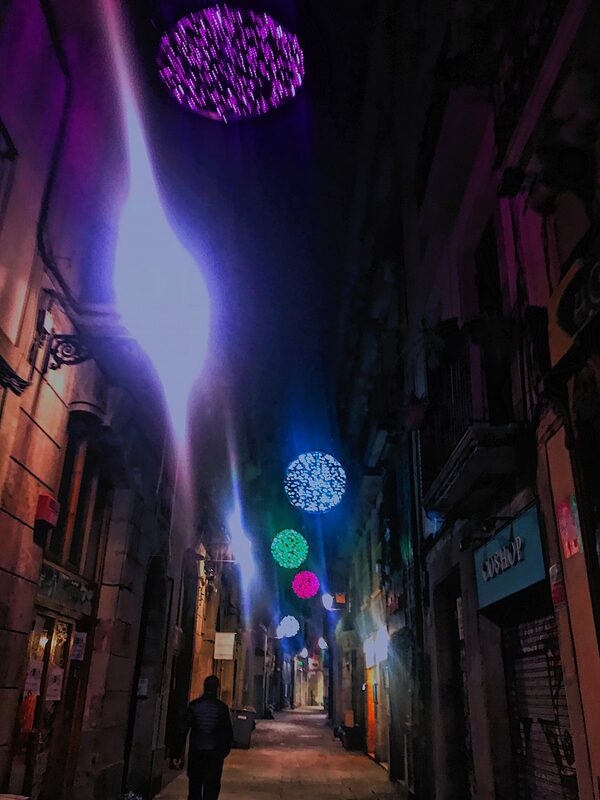 La Rambla is a little less than a mile long and I WISH we had more areas like that near me! Such a cool concept that allows you to explore tons restaurant and shopping options all in one area. Also, DIRECTLY outside our hotel was the best Christmas market I’ve ever seen. 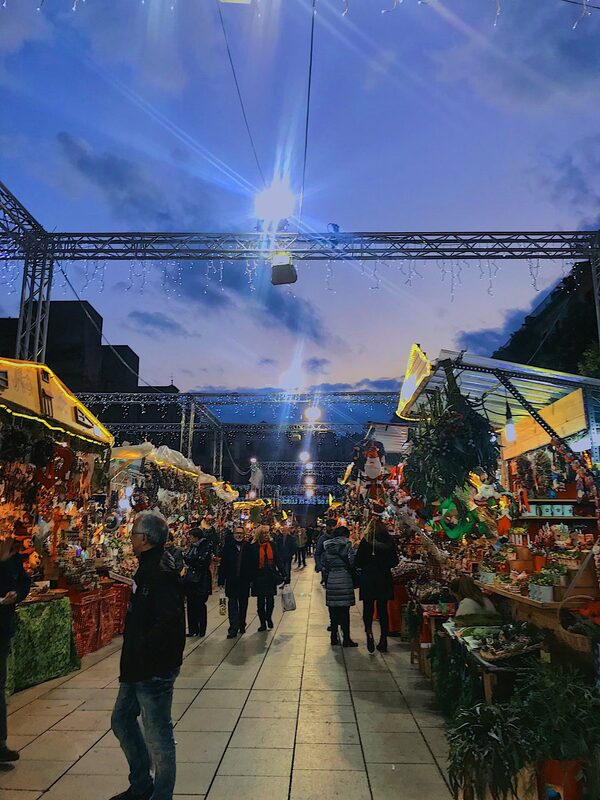 It was four long rows of vendors selling anything Christmas you could think of including gifts, decorations, desserts – you name it! We spent a lot of time here just browsing and it was particularly adorable at night all lit up. Christmas markets are the cutest! 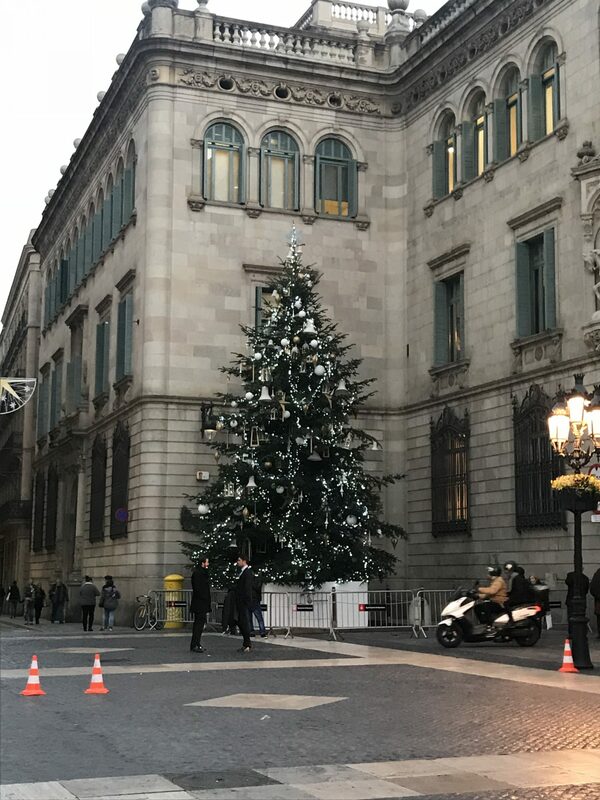 Barcelona had its own decent amount of Christmas decorations and spirit similar to Madrid. It definitely pushed me even a little further into the excitement of the season. So hopefully you’re not TOO sick of Christmas yet. 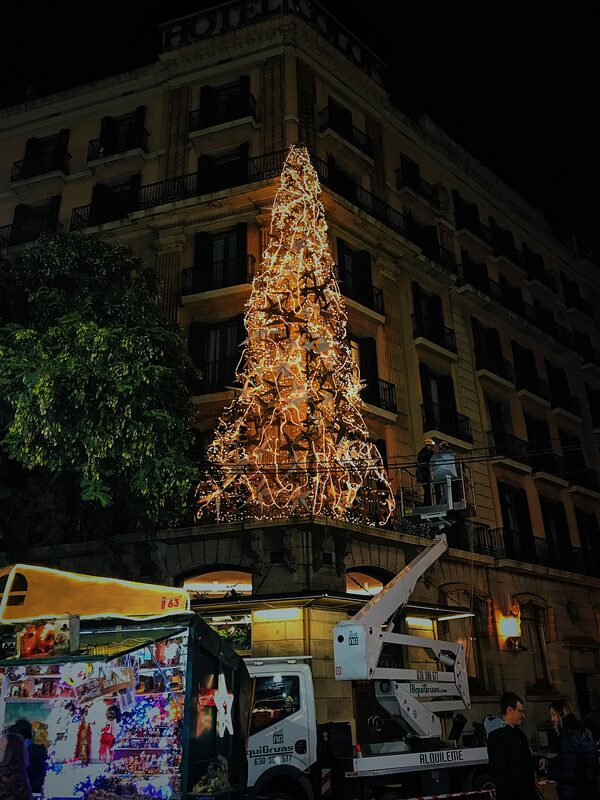 I was hoping to get all these Spain posts up before Christmas but ya know, life happens. 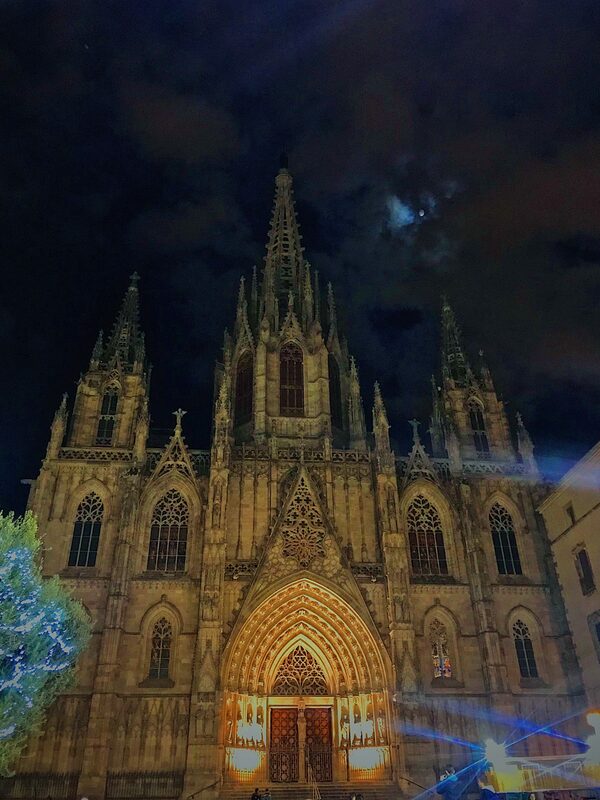 When we walked directly across the Christmas market, to the other side of the road, we were able to step inside the Cathedral of Barcelona. This Gothic style cathedral was built from the 13th – 15th centuries and is really impressive. The details in the architecture are mind blowing. 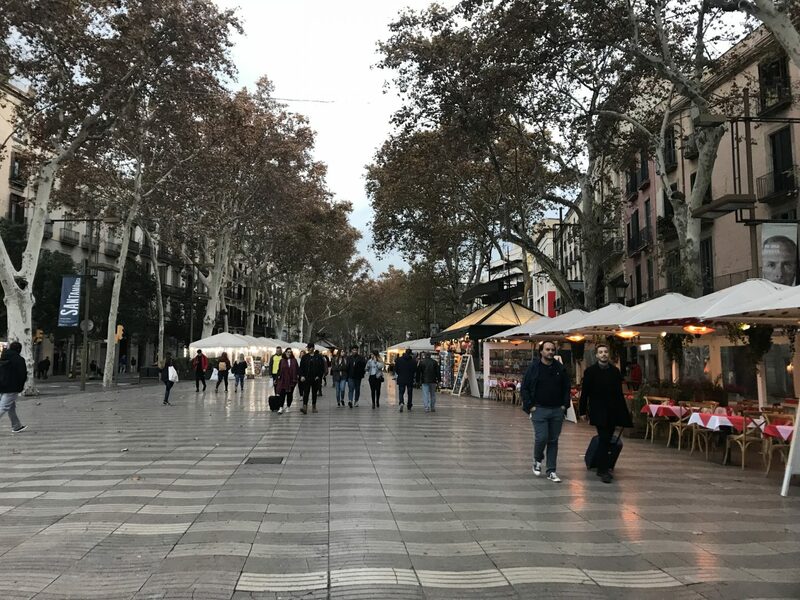 From La Rambla, you can walk to Placa de Catalunya – which is a large square in central Barcelona, considered to be its city center. It is known for its fountains and statues and seems to be very lively. With both people and pigeons alike. We’re talking serious pigeons. Fun fact: Barcelona had the biggest pigeons I’ve ever seen which freaked me out a bit. Odd fear I have. 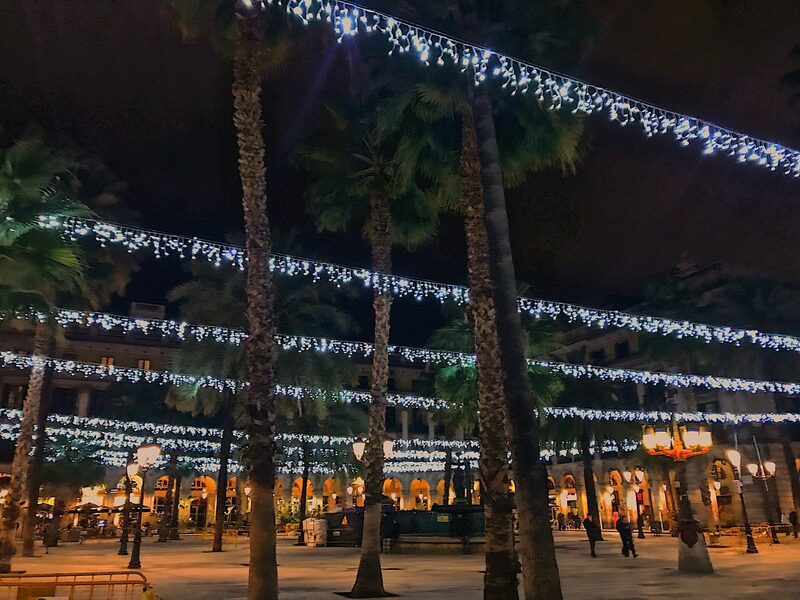 Another stop if you’re going to take La Rambla to Rambla de Mar is Port Vell. This is the area’s waterfront harbor and it’s beautiful. Try to hit it at sunset if you can. You’re welcome. 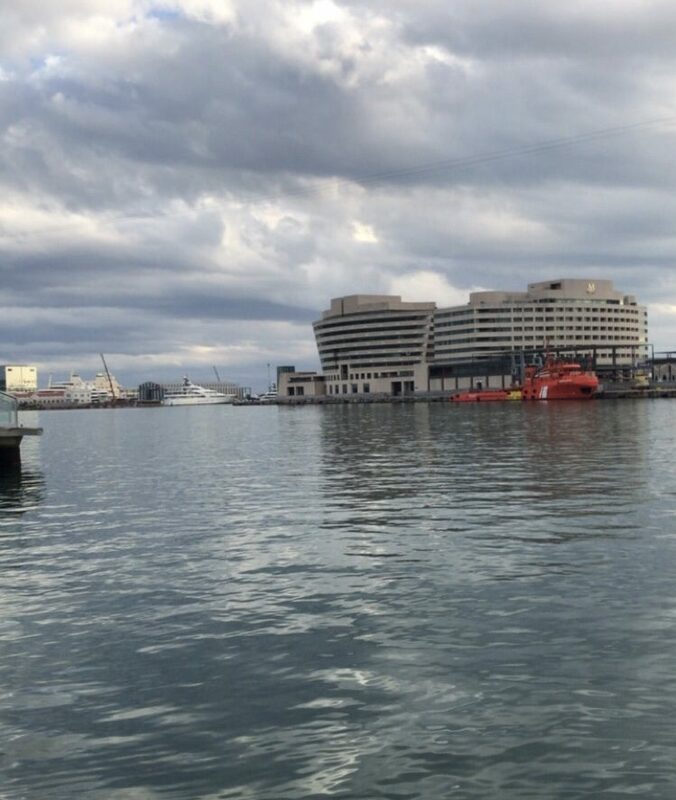 This port was built for the 1992 Barcelona Olympics and used to be an area full of empty, run-down warehouses and factories. Slightly touristy but worth a visit at this port is the Maremàgnum. It’s a huge mall that contains shops, restaurants, bars and more. We stopped to have lunch and the best sangria I’ve ever had at one of the restaurants here. The restaurant was on the second floor and had an outdoor patio that was overlooking the water which was PERFECT. Also, make sure you walk down to the Olympic ring structure on the waterfront. You can’t miss it and you pretty much HAVE to snap some photos there. 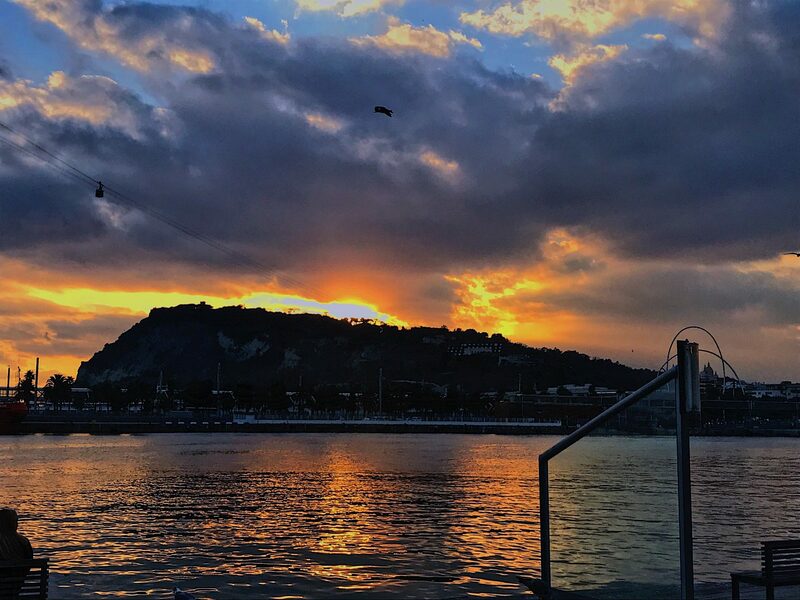 Sunset in Barcelona. Not too hideous, am I right? 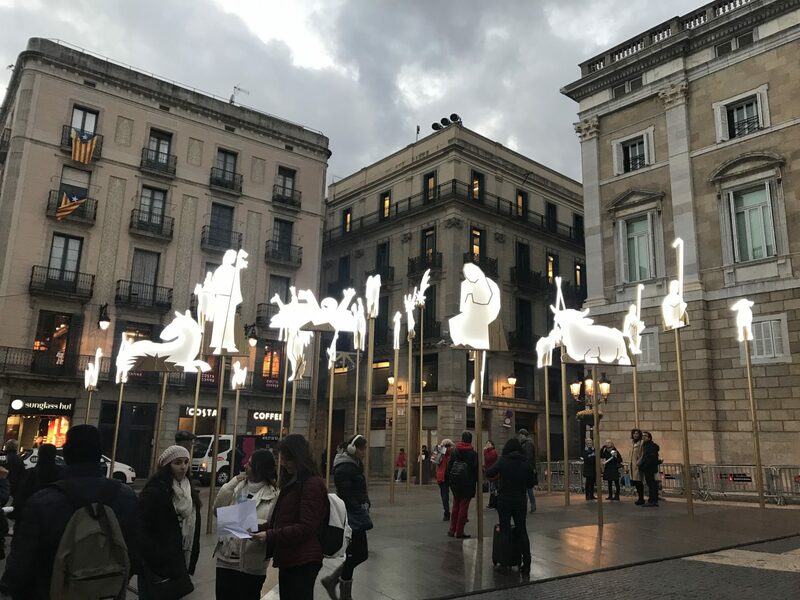 Also, Plaça Reial! Or Plaza Real. This square lies next to La Rambla and is again, a little touristy but SO fun! It’s a popular spot at night for dinner, drinks and live music. Each spot has it’s own outdoor seating area in the square. The restaurants are good and the street musicians are super entertaining. Also a spot to stumble upon a couple of live music bars. Which is kinda our thing. 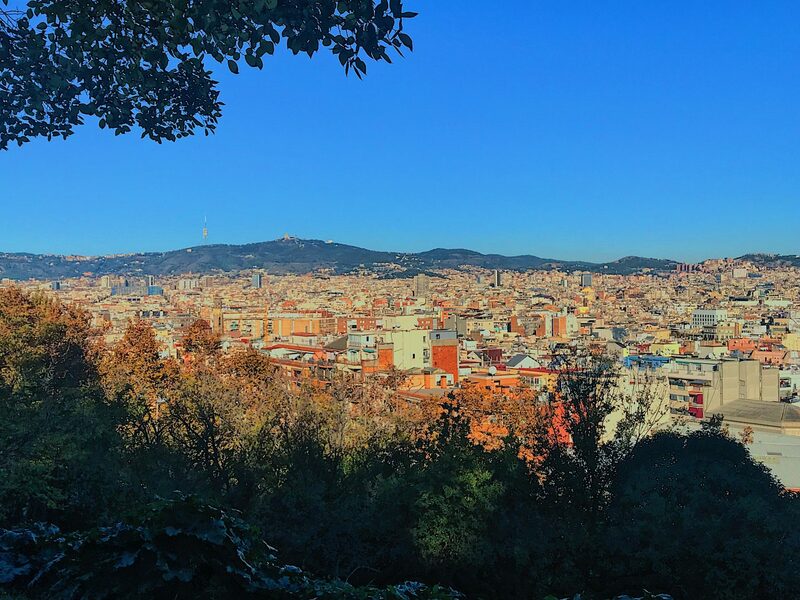 If you don’t mind a bit of an uphill climb, you’ll want to check out Montjuic. Arriving at the top you get an amazing view of the harbor. 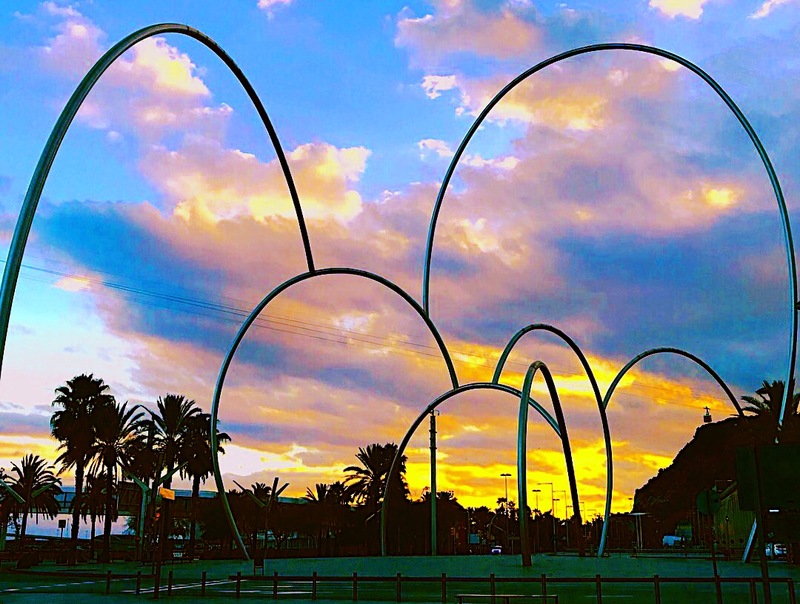 Also while climbing the hill you will hit the Mirador del Poble Sec park which overlooks Pueblo Seco neighborhood; and the gardens of Miramar. 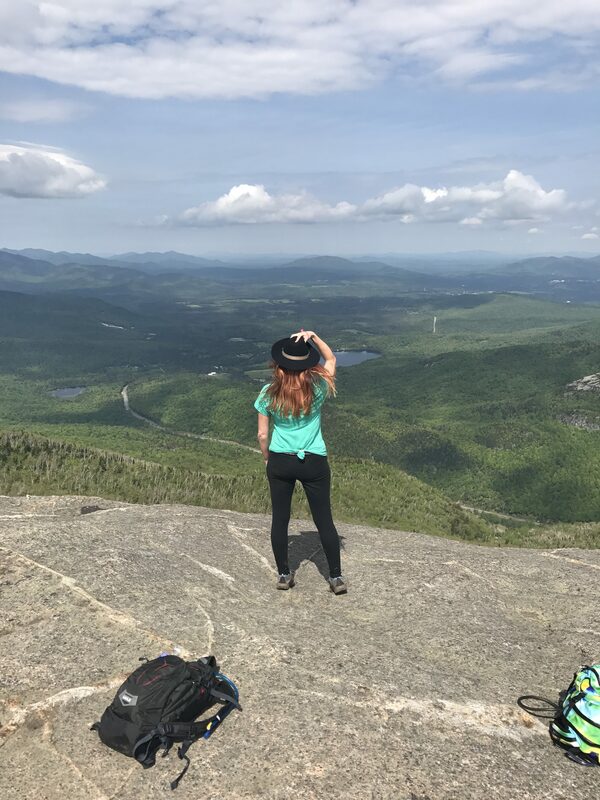 Worth the little hike if you can do it. The views from the top really show you the heart of Barcelona from a bird’s eye view. Views from the climb up Montjuic! For architecture lovers, I would recommend checking out the Arc de Triomf leading to Ciutadella Park. 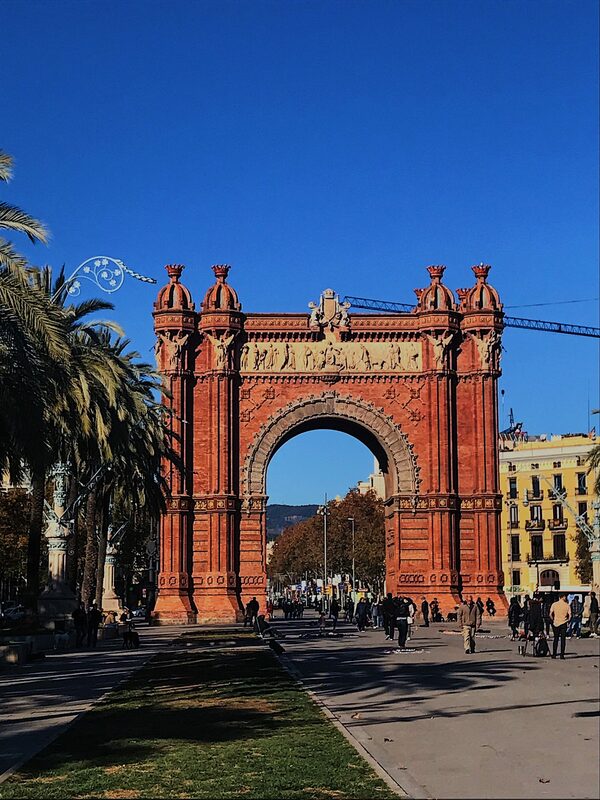 This arc was originally built as the main gate for the 1888 Barcelona World Fair. We were there on a super clear and sunny day (just a little cold) so the park was busy and the red brick work of the arc was super pretty. Your pictures are amazing. They do a great job of summing up the beauty and eclectic-ness of Barcelona. Easily could have spent a few more days there! Barcelona is one of my favorite cities. 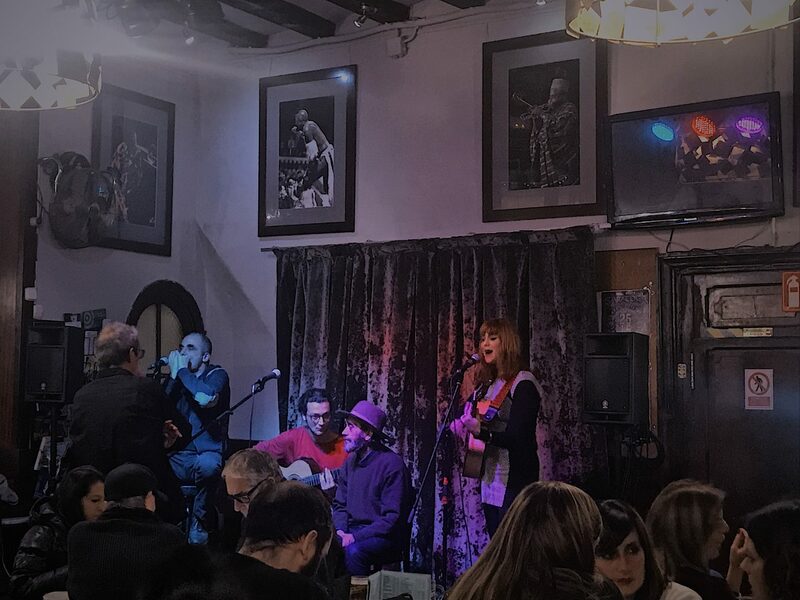 There is so much going on and Hotel Colon is a great place to be where you are in the center of the action. Sounds like you hit about everything except Sagrada Familia. I especially liked your picture of the Christmas market.